I'm really feeling Christmassy at the moment, not surprising really! There is something so magical about this time of year, it's almost inexplicable. Although times are tough, I think it's important to use it as a time to appreciate our loved ones and the smiles the wonder of Santa Clause brings to so many. I love gazing upon my Christmas tree with a warm hot chocolate and snuggling up to watch a classic Christmas movie! 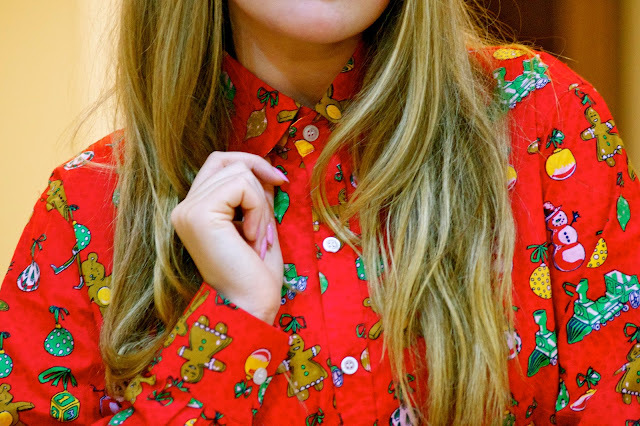 I was recently sent this adorable Christmas Shirt from The Christmas Shirt Company and it's really added to my excitement of the season. It's a great, cost effective alternative to the classic Christmas jumper and a fun one at that. I'm loving mine - it's suuuuper festive! On another note, the beautiful Emerald Leaf Drop earrings featured above prove to be the perfect accessory for this festive time of year, and compliment my shirt perfectly. They were sent to me courtesy of Jasper Jewellery and I'm crazy about them. To be honest, they remind me of small Christmas trees... I love it! To put it simply, they're stunning and kind on your pocket too. What more do we need? 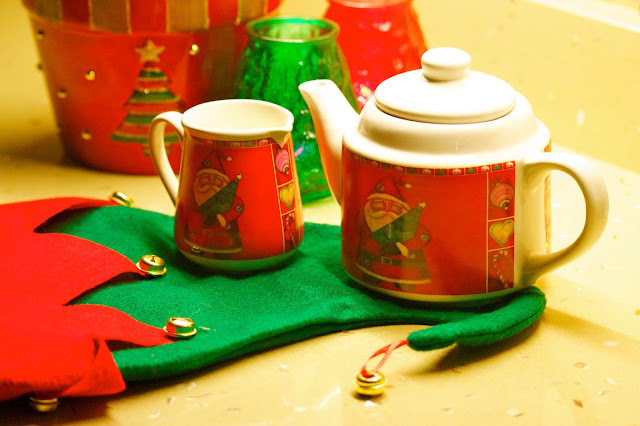 The novelty afternoon tea set is also a holiday favourite of mine. What better way to enjoy a cup of tea?! Looking over these photos, I actually remind myself of an Elf. 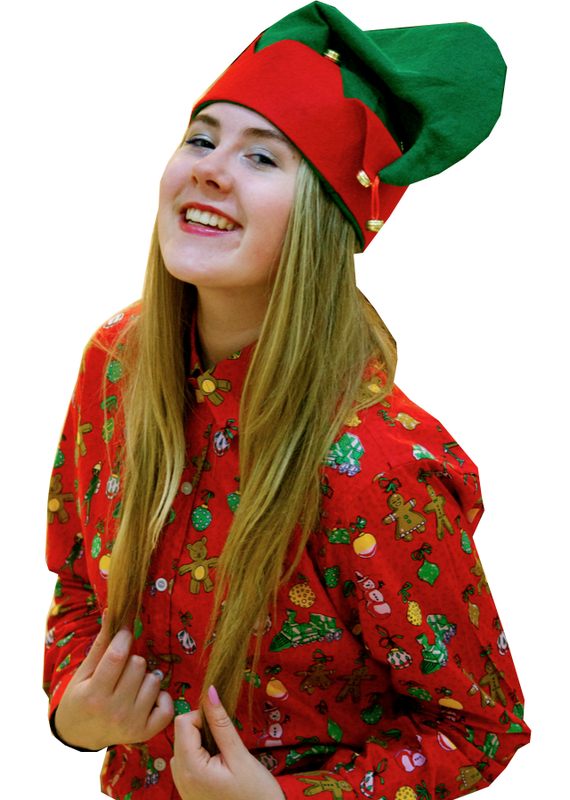 I came across this cute hat when tidying out a spare room in my house and it became an essential for this Christmas. It's so Elf-like: I love it. Just thought I'd put that out there, haha. Tags: christmas, Elf, Jasper Jewelry, novelty, tea set, The Christmas Shirt Co. Your shirt is adorable! Cannot wait to put my tree up now. Sweet festivity. Happy Xmas Hannah.